When planning your trip to or from Canada, it important to know what carry-on items are allowed on the plane, as well as what you can take through customs. 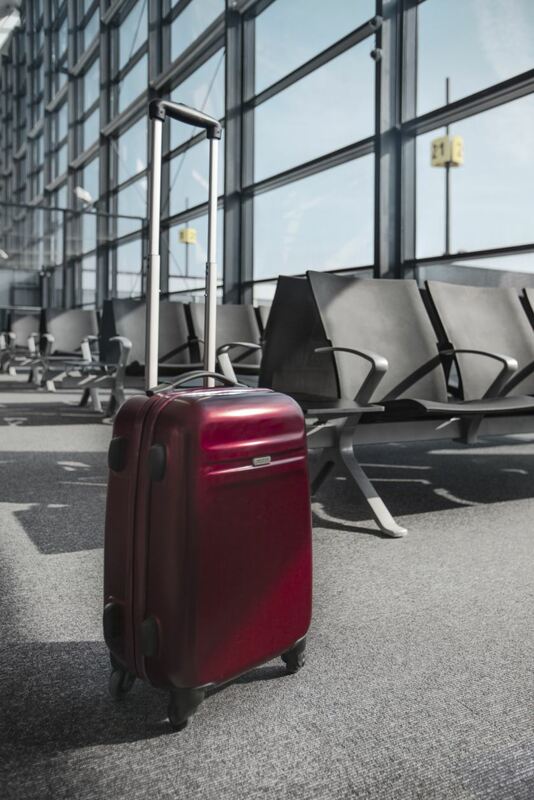 While it certainly won't ruin your trip, it would be a total drag to turn over the expensive lotion you forgot to put in your checked baggage. So, before you pack your carry-on, familiarize yourself with Canadian Air Transport Security Authority (CATSA) restrictions. Then, also check for any additional restrictions specific to the airline you're traveling on (consult their website for a checklist). CATSA allows you to bring several different forms of carry-on luggage onto a plane. And what you bring is usually dictated by your trip's itinerary. If it's a work trip, maybe a briefcase is your carry-on item of choice. A ski or hiking trip may warrant a backpack. Whatever you bring, first, make sure it falls in line with the carry-on size restrictions specific to your airline. But in general, you're allowed two pieces of carry-on luggage per person, including a small suitcase, backpack, briefcase, camera case (with extra lenses and equipment), and a laptop bag. In addition to your two pieces of carry-on luggage, CATSA also allows passengers to bring certain necessity items. However, when traveling internationally, less is easier. So, unless you need a medical item, try to fit as much as you can into your carry-on for tidy travel. Small purses (25 by 30 by 14 centimeters, max). Large purses count as carry-on luggage. Medical equipment (an oxygen tank, a doctor’s bag, or a CPAP machine). A coat or outer garment. Crutches, a cane, or a walker. A diplomatic or consular bag. A stroller and a child restraint system. Duty-free items purchased after the security check. Drinks purchased at the gate. Solid food (some restrictions apply). Any liquid, gel, or aerosol passing through security screening at Canadian airports must contain no more than 100 milliliters (or 3.4 ounces) of product. Liquid containers should be housed in a resealable plastic bag no bigger than 1 liter (or 1 quart) and only one bag containing this type of content is allowed per passenger. Some liquid, gels, and aerosols are deemed "necessities" and are actually exempt from the 100-milliliters (3.4-ounce) rule. These items do not have to be kept in a plastic bag, however, you must declare them for inspection. Items specific to baby care—like Baby food and drink and breastmilk—fall into the exempt category. If you are traveling with an infant younger than two years of age (up to 24 months), baby food, milk, formula, breastmilk, water, and juice are allowed in greater than 100-milliliter amounts. Juice and special food items needed for diabetic passengers are also permitted. Prescription medicine also falls into this realm, but it needs to be in its original, labeled container. Non-prescription medicine like pain-relieving medication, cough syrup, decongestant spray, saline solution, and eye care products, are allowed. And supplements, like vitamins, herbal formulas, homeopathic products, and gel-based nutritional supplements are also permitted. Gel and ice packs are allowed, only when needed to treat an injury, control the temperature of baby food, milk, breastmilk, formula, and juice for infants, or to preserve medically-necessary items or medication. A few items are not allowed on flights into or out of Canada. These items—perceived as potentially harmful or have the potential to be used for harmful acts—will be taken away by security. This includes razors, weapons, curling irons, billiard cues, knives, boxcutters, and sharp scissors, tools, paint, and pepper spray.